Absolutely blinkin’ ages ago Manchester Lindy appeared in Red Magazine. It’s 6.30pm on a Tuesday evening and the dulcet tones of Ella Fitzgerald are tempting a room full of dancers to move their feet. University students straight from freshers’ week; thirtysomething office workers escaping their desks; 70-year-olds who’ve dusted off their dancing shoes – these 80 people, on the surface, have little in common. But the one thing that brings them together? Lindy Hop, apparently. Homegrown in Harlem, Lindy Hop is an American-style dance from the 1920s. It’s described as ‘jive, but more bouncy’, but you’ll probably recognise it as ‘the dance from that Gap advert. Today, a burgeoning Lindy community tumbles into the art-deco Freemasons’ Hall in Manchester. What started out in 2008 as 12 people dancing in a room above a pub has become the Manchester Lindy – a mass of dancers clad in tweed, tea dresses and enthusiasm. Their mission? To swivel, spin and mingle. Every Tuesday night, the sounds of Duke Ellington and Louis Armstrong mix with giggles, cheers and conversation, like a raucous version of the Netherfield ball. There’s even a licensed bar on the sidelines (call it Dutch courage). For one of the group’s founders, Lisa Goddard, who runs a cake and dessert business, it’s ‘more of a social activity than a dance’. She first discovered it after finding salsa ‘very snooty’. At Lindy, you meet and talk to people while you dance. ‘It’s a cross between a class and a nightclub,’ she says. Big cities like Manchester can feel hard to penetrate, so it’s hardly surprising that Lindy has become so much more than a dance class. Unlike with ballroom dancing, a plus-one isn’t a prerequisite and you dance with a number of different partners, so you’re constantly meeting people. ‘Lots of close friendships – and relationships – have grown,’ explains Lisa. Whether it’s the connections made while dancing hand-in-hand or the endorphin- boosting moves, it’s clear that an electric atmosphere unites the Lindy Hoppers. Beck Rowaichi, an office manager, was bowled over by the emotional benefits of Lindy Hop. Before, she’d found dance groups ‘intimidatingly formal’, but Lindy’s warm, inclusive vibe left her feeling exhilarated. ‘Whether you’re good at talking or not, you’ll find a friend here,’ she says. 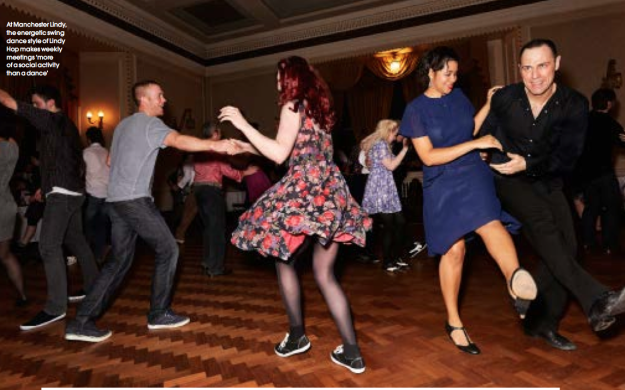 On Tuesday nights in a hall filled with laughter and the chitter-chatter of new friendships (as well as old ones), the Lindy Hoppers are whisked away to a bygone era. On the dance floor, stresses and to-do lists are irrelevant; jobs are forgotten; ages are of no consequence. This is musical therapy – with a twist. This article was published in Red Magazine in December 2013. Thankfully, the writer, Natasha Lunn, did. Enriching our Swing Social with a dash of Balboa -Tuesday Feb 4th! Manchester Lindy’s original swingin’ night out! Just £5! A whole heap of social dancing fun! 7.45pm (Room 2) Level 3 Taina – Introduction to BALBOA! This week only: Experienced level 2 dancers who are keen to learn Balboa can step up and do the level 3 class (as well as their own level 2 class later on). Please be respectful of the level 3 dancers, this is their time! If you are unsure if you’ll cope, speak to the committee (or Taina) in the lead up to Feb 4th. Ladies, be prepared to learn the lead role if numbers are unbalanced! Balboa is a brilliant dance on its own and it really clarifies the ever important Lindy principle of weight change as well as the difference between body-lead and arm-lead. Great for all tempos, especially useful for fast music. You can even bust out a little Balboa mid-Lindy dance, especially if you need a little break! If you’d like to learn more, Taina will be following up the Manchester Lindy class with a dedicated Balboa workshop. Taina has years of Balboa teaching experience at all levels and is happy to share it with you. 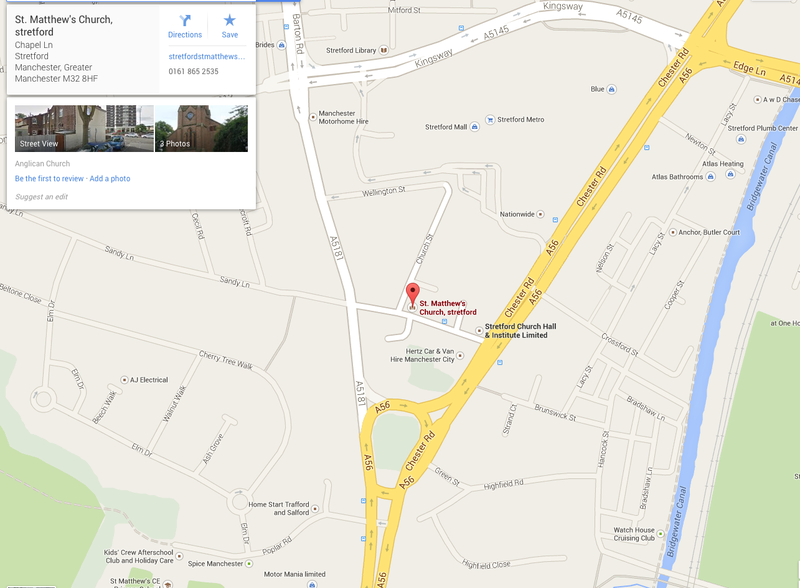 Good Balboa tuition is rare in Manchester so do not miss this!